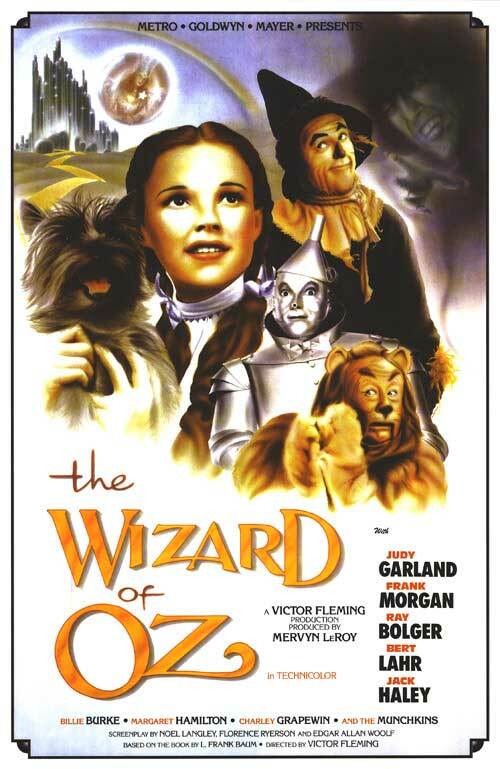 Comment by Wes Penre: The book and film "Wizard of Oz" are frequently used in MK ULTRA mind control and its different offspring, such as "Project Monarch", discussed in detail in Fritz Springmeier's and Cisco Wheeler's book: "The Illuminati Formula Used to Create an Undetectable Total Mind Controlled Slave". The author of "The Wizard of Oz", L. Frank Baum was himself initiated in different occult orders, of course, and as we shall see in this article, he was truly inspired by the teachings of Madame Helena P. Blavatsky and her occult order, "The Theosophical Society". 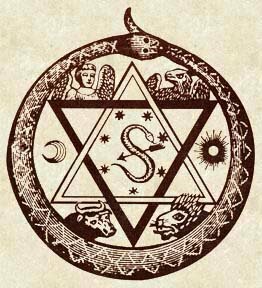 The Seal of Madame Blavatsky's "Theosophical Society"
his film depicts the aspirant from their state prior to initiation, to crossing the abyss (breakdown of reality when discovering it was all a lie) to the return to reality. The Wizard himself represents the Magister Templii, or Master of the Temple (Ape of Thoth), who puts the illusion written by the Magus into play. Osho writes that, enlightenment is like the musk spot on a musk deer - it is only happy when it smells it, and it only smells it when it stands still. But thinking it is somewhere else, it runs and in the running, loses the scent and suffers. Sometimes, it finds another musk deer, and when it does, it is happy for a time, but it does not last, as it grows tired in the chase eventually, and loses sight of the other. Sooner or later, having failed to get that smell, it stops searching for it out of exhaustion... and finds it! Dorothy, playing the damsel in distress, is infected with ego. She is a representation of the man, the lion the lion, the scarecrow the eagle, and the tin man the ox in the above seal, the four kerubim - this is not important here, so consult the Book of Thoth for more information in Atu XXI. Dorothy falls ill and inadvertently awakens her Holy Guardian Angel, the trance of wonder comes, bringing color to world. Her HGA [Holy Guardian Angel, Wes Penre's comment] then guides her along the Yellow Brick Road, Tifareth, and the trance of wonder comes, adding color to the world. The good witch of the north, representing the Holy Guardian Angel, guides her along, and she is attacked by the evil witch of the east (Choronzon) who does not want her to have the silver slippers (solid ground beneath her feet - or skepticism) which prevents controlling her. Dorothy eventually comes to the goal she was looking for, the Wizard of Oz, but finds he was a fraud (the abyss would occur here, the breakdown of reality discovering it was all a lie, losing all and gaining one's self) and he tells them that they had what they were looking for all along. "The next time I go looking for my heart's desire, I won't look any further than my own backyard; if it's not there, then I never really lost it to begin with." "Wherever your treasure is, there shall be your heart also... ...the kingdom of heaven is WITHIN you." Cheers, Wes! Magnificent connections you're making these days. I really appreciate your work: in my estimation, it's sublimely balanced. P.S. A lot of the deep secrets are encoded within the films of Stanley Kubrick.... More on this later.